With the popularity of the English TV Serial Castle – the fictional character of Richard Castle became very much popular (with many other characters). Richard Castle is an author who writes detective fictions which are crime thrillers and murder mysteries. 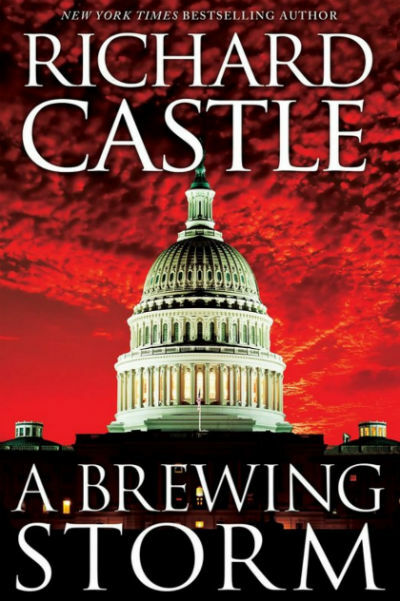 After the popularity of the TV Series, some of the (well we don’t know if he/she is a single person, or many) author(s) adopt the pseudonym of Richard Castle and started writing books. The books are very popular. This book introduces us to the main character without wasting much time. It is a kind of challenge for any short-read book to build the tempo on time. The book succeed in doing, as a plus point. In this book we are introduced to Derrick Storm, a former CIA operative who is living a normal life under a different identity. We learn that after a mission (Tangiers) failed at the last minute, due to some internal leakage, he was a miracle to be survived. With the immediate effect director Jedidah Jones have declared him dead(!) and send him into hideout. His life will otherwise be in danger till the actual culprit is found. One day when he was fishing, he got a chopper finding him by the representatives of Jones. The is very much like when John Matrix is approached by his colonel (Film: Commando) or more relevant to the one when John Rambo is approached for a mission (Films: Rambo II, III). How Derrick meets Jedidah inside the CIA HQ is a good written piece. It gives you basic idea about several customs there. As Derrick storm is the protagonist, his character is definitely well explored. What catches your eyes, is the character of Jedidah Jones, his attributes are explained and explored so very well, in the smaller amount of place allotted to him in the book. He is stubborn, secretive, decisive, logical, patriot and much more. The second important character is of newly joined FBI agent Showers. She also appears in all the three shorts of the trilogy. And what a combination of names of the pair “Storm and Showers”, logical! right!? There is one more character, Clara Strike, which strikes as memory flashbacks and makes her presence felt. The critical situation is: the stepson of a U.S. senator is kidnapped. The time is passing like hell, and senator is not happy with the efforts of FBI, as there is no significant progress has been made yet. So he asked Jones to add him some help from CIA side. And Derrick have to do whatever he needs to, to get the abducted son of senator back. For the senator, the way are not important, the results are. There is difference on opinions and methods between Storm and Showers (who is there to assist him from FBI end). However Storm was thoughtful and not idealistic as Showers, he got that there are a lot of things happening, which are not shown. Also both the notes demanding money have something to catch his eyes. And, Jones had given him several personal instructions as well. The senator was thought of taking huge amount of bribe for something critical. Jones/Storm want to check if that stuff is somehow associated with kidnapping. One other important thing Storm felt was the inclusion of an inner person in the whole case. How Storm moves ahead and uncovers one by one truths, is written in gripping manner. The ghost writer, whoever he/she is, must be given the credit for writing a good piece of thriller for sure. After a series of event Storm is able to resolve all the mysteries. And when talking to the senator in his office, the senator was “shot to kill” by an unknown assassin from other building!!! The last words of the Senator were something like: “It is more than he (Storm) understand or imagine or handle, Jedidah knows about it“. So, it is all set for the second part! Are you curious to explore it? We definitely were all motivated and read the entire trilogy. We will be sharing our reviews and a brief of the content for those parts soon. So keep visiting us. The short is written with almost fine pace and it is gripping. The writer don’t waste too much time in explaining the locations etc. The twists and turns he/she (author) came up are really good. And for under USD 1.00 it is definitely good choice of crime thriller lovers, who love to see mysteries getting resolved. The only catch as of now is, the short is available as EBook only, but you can read a Kindle EBook on any PC/Mac, even without Kindle device, using Kindle EBook reader.